About $6,000. Learn more on our latest lap band specials and announcements by filling the online estimate form. The final decision on qualifications, based on the appraisal of the candidate’s medical questionnaire, lies with the doctor. We provide complimentary pick-up from the PVR International Airport. Lap band costs in Puerto Vallarta are almost 70% lower than the prices charged in the United States. The city is served by its own international airport (Licenciado Gustavo Díaz Ordaz International Airport). PVR is quite Americanized; you won’t feel you are in a foreign country. The city abounds with glistening resorts and golden beaches and makes up for a complete R&R destination. You are unlikely to hit any language barriers as hospital staff and most of the people engaged in the tourism industry here speak English well. 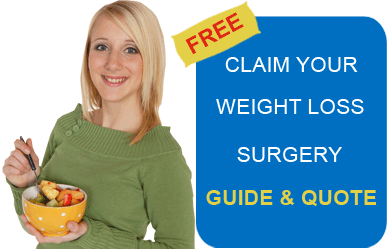 Click here for more information on our network weight loss surgeon. This surgery aids weight loss by making the stomach smaller. It involves making small incisions in the abdomen. Surgical tools and a camera are inserted through the small incisions. The doctor then wraps a donut-shaped device called lap band around the upper portion of the stomach to divide it into two parts. This band is attached to an access port placed under the skin through a narrow tube. The access port is used to either inject or suction out saline water from the band to tighten or loosen it. Alternative names of lap band surgery – gastric banding, Laparoscopic adjustable gastric banding and LAGB. Cut down on starches – wheat, potatoes, bread, pasta, rice, etc. Eliminate caffeinated, carbonated and high-calorie beverages, including diet soda and coffee. Replace sweets, fried and fast foods with fruits and veggies. Start an exercise program – it is recommended that you sweat it out for at least 20 minutes 3 times a week. Quit smoking at least 4 weeks before your surgery. Make sure you stop taking aspirin, plavix, non-steroidal anti-inflammatory drugs 10 days prior to your surgery. You will have to stop taking caumadin 5 days before your surgery. Focus on proteins for the first 3-4 weeks after your surgery. Do not drink and eat at the same time – make sure you don’t drink anything 10 minutes before and 45 minutes after your meal. Consume soft fruits and veggies in pureed form for the first few weeks after your surgery. We provide full travel assistance and help shop around for air tickets. Click here for detailed information on your lap band surgery destination. Submit the free quote request form for the latest prices and other details.